Two who responded to the fundraising appeal are tenors. It struck me that I should share them with you, so I invited them to submit some clips. Please enter your opinion about them. We’ll publish the results in a forthcoming newsletter. “I am much honored to contribute to the publishing of your book “Hitler’s Tenor.” This is a very interesting topic and unusual perspective about the life of one of the greatest tenors of the history of opera. Gigli sang in troubled war times and found himself in the middle of a game bigger than he thought. He never imagined that the political leaders he sang for and who used him as an instrument of their political propaganda during the 1930s would have been banned from power only a decade after. That is why I find your initiative of writing a book about Gigli’s connection with Hitler and Mussolini a novelty. Thank you, Stefan, for enriching opera fans with your valid intellectual work! The Roman commission, which found against Gigli, made no mention of Hitler, Mussolini or events when Italy and Germany were allies. Instead the commission focused on Gigli’s actions from September 1943, when the Germans occupied Rome, to June 1944, when the American Fifth Army ousted them. For the commission this was the period of Gigli’s collaboration. I interviewed Enrique Pina in Franco Corelli and a Revolution in Singing: Fifty-Four Tenors Spanning 200 Years, vol. 3. As discussed in the book, he had studied with Corelli for a number of years but ultimately modified the technique so he would have greater stamina. In “E lucevan le stelle” he is using Corelli’s technique. In “Por Amor” by Rafael Solano, Enrique Pina, tenor, Alberto Rincon Guzman, conductor, and “Granada” he is using his modified technique. “German-Brazilian tenor Martin Muehle was born in Porto Alegre in Brazil and studied at the Musikhochschule in Lübeck, Germany. “He opened the 2018–19 season with his return to Oper Köln as Calàf and will make his US debut at Seattle Opera as Manrico. He also will appear at Teatro Communale di Modena, Teatro Regio di Parma, Teatro Reggio di Emilia and Fondazione Teatro di Piacenza as Andrea Chénier, and at Staatstheater Hamburg as Don José. He’ll return to the Bolshoi Theater for performances of Carmen conducted by Tugan Sokhiev and to MÜPA Budapest for a semi-staged performance of Le villi. He’ll finish the season with a return to Teatro Massimo di Palermo as Canio, conducted by Daniel Oren. Future seasons include his debut with Théâtre du Capitole, Toulouse and a return to Deutsche Oper, Berlin. “In South America Martin Muehle sang Don José in Brasilia and Buenos Aires, Turiddu in Brasilia, Siegmund in La Plata and at Theatro Municipal in São Paulo, where he also sang Alfonso in Korngold’s Violanta and Guido in Zemlinsky’s Eine florentinische Tragödie. “In concert he has sung Gounod’s St. Cecilia Mass at the Theatro Municipal in São Paulo, Beethoven’s Symphony No. 9 at the Cathedral of Porto Alegre and at Palácio das Artes in Belo Horizonte as well as Mahler’s Das Lied von der Erde at the Teatro Nacional in Brasilia. Recently he also sang Das Lied von der Erde conducted by Dan Ettinger in Mannheim and Ludwigsburg, and in his debuts at the Berliner Philharmonie as tenor soloist in Verdi’s Requiem with the Rundfunk-Sinfonieorchester and Rundfunkchor, Berlin under the baton of Simon Halsey and at the Gewandhaus in Leipzig with the MDR Symphony. Muehle sings the way so many singers do today: all that seems to matter is volume, which makes it hard to produce the sounds physically. You hear the struggle. That also excludes any beauty, emotion, personality, because he has no access physically. He has locked himself up. Of course you must call it an impressive –but dead-sound. Pina: I liked E lucevan. He could change his sound. Some expression. I disliked Granada. Struggled, held. He had trouble actually singing it. Of course neither of them is an amateur! They sound like the best of the “B” singers out there! Mr Pina’s placement is ingolata. Mr Muehle, similar to Corelli’s placement (lowered Larynx). He has to be very careful never to push the voice while maintaining the squillo throughout. I would suggest to Mr. Pina, listen to Giuseppe di Lugo, Georges Thill, and Mario Lanza, the latter, who studied with Rosati and influenced Placi and other tenors. It would help to preserve the voice. Corelli’s voice and technique were unique, which, could be difficult for a sensitive, vocal instrument. The Elucevan Le Stelle by Tenor Pina has the right weight and impact and sound nice but overall lack the rhythm because of late entries. [He is referring to the version of “E lucevan le stelle” linked to in the original survey newsletter.] The other 2 examples I do not care for. Tenor Muehle reminds me of Corelli as far as the quality of sound is concerned and is impressive but not quite effortless. However I do like his rendition of the arias submitted. Martin Muehle is dear friend of mine and and a great artist that is each day getting better and better … so proud of him and the great career he’s doing. My best wishes and “In bocca al lupo” always! We need to monitor there progress. Pina has a nice, somewhat dryish tenor, and showed a bit more imagination in the TOSCA aria than in the songs, especially in “Por amor”, which is a real go-nowhere song that can do nothing for any tenor singing it. Has some style, but lacks charisma. Muehle sounded much more exciting, with a more truly ‘operatic’ voice than Pina possesses, along with more feeling and a reasonable amount of charisma. It is hard to gauge voice size with the amplification used in “Ch’ella mi creda” or the long-distance videoing of the TURANDOT scene. (I couldn’t take my eyes off the soprano’s upper arms in the LECOUVREUR long enough to judge Muehle; she should really insist on a new wardrobe!) Sounds like a good pingy top, and he certainly is effective in the three cries of “Turandot”, holding the last ala Corelli for a good while, and then he shows considerable presence of mind when his gong-striker falls out of his hand after the first strike, he thinks quickly about picking it up, and then changes his mind and just uses his fist to strike the gong the second and third times. Altogether, both good tenors, but Muehle is the definite winner here. I will refer to Martin Muehle that Im very, very glad how he sings at South America in so many theatres. did a licence in Communications here at Jo”burg, S. A., and I get so excited when I have the great opportunity to see that even he was singing at the famous Teatro Municipal from la Plata, if well I belong to Buenos Aires city, developing a big carrere at different centres of my born city, I have the chance to travel to South America and Europe) but believe me that is all my pleasure to listen on his biography all this wonderful description. I found that the voice of Enrique PIna is of an unusual brilliance and squillo. Pina has an outstanding breath control very rare to find in these days. In his high notes you can find Corelli’s technique as his voice increases in volume when he reaches the upper register. 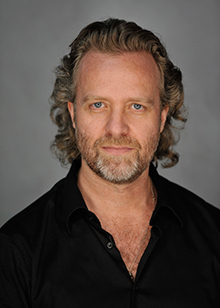 Martin Muehle is an accomplished professional with a baritonal voice. Muehle has chosen well the repertoire that is suitable for his voice. There are many interesting qualities in Enrique Pina’s singing. First of all the excellent breath control. At the end of “Por Amor” he holds that A Natural for 19 seconds without any effort. This is something very impressive to me! In E Lucevan le Stelle he does a diminuendo in the Corelli style without any break in his sound. Another interesting quality in Pina is the easy top. Many tenors struggle to reach the high notes and their voices thin out. Instead, in Enrique his voice widens and rings in the top. At the beginning of “Granada” he reaches a B Flat effortlessly giving an excellent example of what singing “on the breath” is. Not to talk about his easy high C at the end. As far as I remember, only Corelli, Mario Lanza and maybe Kraus used to finish Granada in such a high note. Nowadays, you will not find a tenor with those qualities very easily. Martin Muehle is of a completely different kind of voice. He is more suitable for the Dramatic roles. His burnished timber alongwith his incredibly stage presence makes him an excellent Kalaf and Tonio. Muehle has an outstanding musicianship. In some passages of “L’Anima ho stanca” he reminded me Franco Corelli in his prime. In my opinion these two voices are completely different for different roles. Mr Pina would be advised to stay within his range of operetta and light music while Mr. Muehle clearly has a fine instrument made for grand opera and I look forward to hearing him in a theatre somewhere. Enrique Pina I have heard Enrique Pina singing this Granada live at the Santo Domingo National Theater last October 2018. I can assure without any doubt that this youtube video doesn’t make him justice at all! His voice is full of squillo and his high C at the end was impressively powerful and ringing. In my opinion Enrique is one of the few tenors who sings with the excellent technique of the great singers of the Golden age of Opera. My opinion about the tenors Enrique Pina and Martin Moehle. By Vladimir Velázquez Matos. It is for those who write an honor to express my opinion on two magnificent tenors such as the Dominican Enrique Pina and the German-born Brazilian Martin Moehle on a website as prestigious as the Bel Canto Society, led by a musical scholar of world prestige as is Professor Stefan Zucker. Although I am not a lyrical singing specialist or a deep connoisseur or a musician by profession, I am a lover of Bel Canto and record collector of some of the great performers of that beautiful art, mainly a great admirer of which was to my understanding a of the greatest glories of the world lyric of the twentieth century: “Franco Corelli”, the most exuberant and miraculous voice of the second half of that century and teacher, as well as spiritual father, of one of the tenors that in this space I will comment, as is the much admired great artist and friend Enrique Pina. From Enrique I can say that he is a full lyrical tenor of a very consolidated school, that of Arturo Mellochi, inherited from his long-time teacher Franco Corelli, the technique of the larynx is low as well as floating, which, as can be seen in the videos with the aria: “E lucevan le stelle” and the songs “Por Amor” and “Granada”, allows you to perform not only the steps of the voice from chest to the head voice, using multiple dynamic mechanisms such as filatura and mezza voce in an exemplary manner, but to culminate the pieces he interprets with brilliant high notes of unblemished security, which can be extended by his incredible control of the fiato, which I believe is one of his trademarks. Another of his most notable characteristics is his interpretative quality, the sweet way of how he emits the phrases, his eloquent accents and his noble diction in the languages that he dominates, making him a very seductive artist and pleasant to the listener, with some more scenic ways, very discreet that accentuate his great gift: “the voice”. As Martin Moehle, he is undoubtedly a great voice of dramatic tenor, and even heroic, very much in the current of the Germanic voices in the style of the danish Roeswange, Jerusalem or Peter Hoffmann, handled with great success, expressiveness and beauty in all the extension of his sonorous column, only criticizing him a little parsimony in the dynamic elements, since he stays in the mezzo fortes, fortes and fortíssimos, very in the line of Mario del Monaco or Giuseppe Giacomini, but even so, he is an artist super large caliber. In short, they are two very different tenors by voice and school: one, Pina, a full lyricist in the best tradition of the Italian school; the other, Moehle, a dramatic characteristic of the great German school. For me, excellent both. 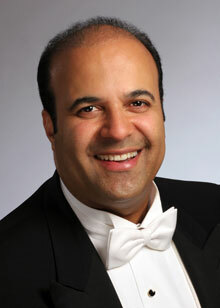 Mr. Pina is a tenor who has yet to come into his own. His performance of Granada was more striking than the other pieces, he lost most of the drama brought by the Corelli technique. If only he could possibly blend the technique a bit more, we might get the best of both worlds, as exemplified by Mattrhew Polenzani in some of his repertoire. Now, as far as Martin Muehle is concerned, here is a voice that’s got it all together. I could listen to him forever. He truly has a vocal instrument similar to Corelli’s and I’m sorry I have not heard him before now. However, I am not totally sure if he has the power so brilliantly utilized by Corellli. About Enrique Pina: Magnificent. Captivating. Charming voice timbre. Excellent voice and volume control. A jewel for art. A great pride for his country. I like Pina, but I still LOVE Caruso, Gigli, Corelli and Delmonaco. I’ll listen to these gods with a big dish of Pasta! The others are ImPASTAS! Muehle is loud and bland, not even “hearing aid” worthy! The Trovatore went very well. Verdi is a genius. I feel so lucky and grateful to be able to sing such a role. Certainly I am not what you could call a belcanto singer. But I sing Manrico with passion and try to be as close to Verdi’s intentions as possible. My colleague Angela Meade is an amazing Leonora. And she is a belcanto diva. The public was very happy! I wasn’t totally healthy during the production, but I managed to sing thru without problems. I am now in Modena rehearsing Chenier. I will sing it in a circuit of theaters of the region (Modena, Piacenza, Reggio Emilia and Parma) from February 15, always two performances per city until April. I hope you are doing well and better and getting farther with the Gigli book! He quotes some of your interviews and books. Please write your review in the comment box below.